Christopher Panayiotou, who is accused of masterminding his wife Jayde’s murder, is a cold, calculating individual who allegedly interfered with evidence numerous times prior to his arrest, the State argued in his bail application on Wednesday. The matter has been postponed to June 4. State Prosecutor Marius Stander picked up his heads of argument from Tuesday, when court was adjourned because it had run out of time and Panayiotou needed to be moved back to St Albans prison where he is being held while awaiting trial. Stander said Panayiotou had on numerous occasions interfered with potential evidence, including the factory resetting of both his and his mistress, Chanelle Coutts', cellphones on April 25 or 26. In his answering affidavit to the State's allegations of interference, which had been read into evidence on Tuesday, Panayiotou said he had wiped the phones to hide his sexual relationship with Coutts. Stander however pointed out that Panayiotou's attorney had said in an interview with eNCA that Panayiotou's actions were because he was afraid the police were investigating him in connection with the murder. Defence advocate Terry Price objected, saying that what happened outside the court was irrelevant to the case, and if it were to be brought before the court it would need to be submitted as an additional affidavit, but Magistrate Abigail Beeton allowed Stander to continue. "If it pleases the court I was so shocked by what I had heard that I waited for the news bulletin to repeat an hour later and recorded the interview on my cellphone and will happily make that available," Stander said. 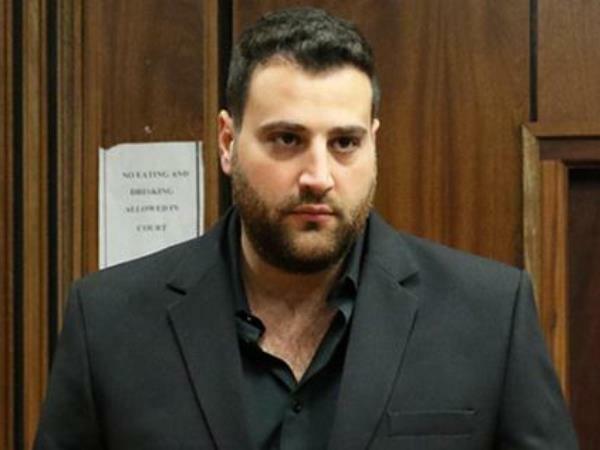 He pointed out that it was a lot more likely that Panayiotou had deliberately factory reset the phones to wipe all information that could be retrieved by police forensics, rather than just hide evidence of the affair. "It is the State's case that the father of the accused [Panayiotou] already knew about the affair from as early as last year October," he said. Stander also argued that a normal person would just delete incriminating information like text messages, BBMs and images, not factory reset their phone and not wipe his mistress’s phone as well. Stander said Panayiotou had also instructed co-accused, Siyoli, to destroy his SIM card. "He also instructed Accused 1 [Siyoli] to give him a missed call rather than to call him directly and that he would then phone him back on a new phone." Stander said this was because Panayiotou knew there was no way to trace a missed call and was intent of obtaining a separate phone that could not be linked to him. He pointed out that in the transcript of the conversation between Siyoli and Panayiotou, the latter said police were monitoring his calls. He said these were the actions of a cold calculating individual who was intent on hiding evidence and that it would be stupid to give the defence a list of other evidence and witnesses - as they had requested on Tuesday - as this could allow Panayiotou to have that destroyed too. Beeton later requested clarity from Stander with regards to the conditions that Panayiotou would be held in, should he remain in custody until the trial. Court was briefly adjourned for the State to obtain clarity.